Lisa Howard, one of the first women to have her own television news show, became the central intermediary in the Kennedy-Castro dialogue. 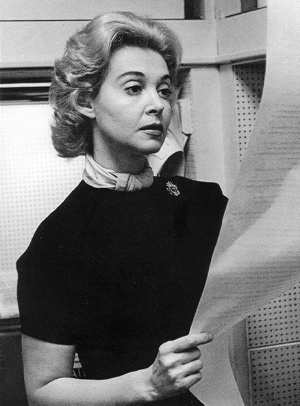 Howard had been an actress and soap opera star before she broke into journalism in 1960 by scoring the first major interview with Soviet Premier Nikita Khrushchev at the United Nations. She was hired by ABC news as a reporter and subsequently became the anchor for ABC's noontime news broadcast, "The NewsHour with Lisa Howard." Her two specials on Cuba, in 1963 and 1964, were the most substantive coverage of Castro's revolution in the early 1960s. She died in 1965.